To state it simply, I am a dressaholic. Help! On second thought, don’t, it’s too much fun to buy a new dress. I just can’t seem to help myself; I can always rationalize buying a dress. 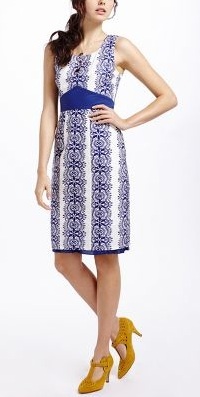 When it come to a Lilly Pulitzer, seersucker, or white dress, I tell myself: “This dress won’t go out of style, it’s an investment, go ahead and get it, you’ll be glad you have it”. Am I not right, when has a Lilly Pulitzer dress ever gone out of style? When it comes to more trendy and fashion forward dresses I tell myself: “you can always use a trendy dress to spice things up, go ahead and get it, you can always use a fun dress”. 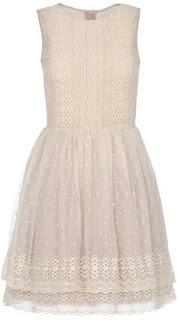 Then after I buy the dress I proceed to make a mental list of all the places, occasions, events, etc. I could wear that dress, to further rationalize my purchase of a new dress. I still have the price tag on some of my dresses…but that day will come when I will wear it, and I will be thrilled I have it! In all seriousness you do need a few dress that won’t go out of style, that you can wear for years to come. On a side note: never get rid of a dress you love (unless of course it is hideous, and you have had numerous people tell you so) as long as you love it, you will always look fabulous in it! Here are some of my favorite dress picks from this season’s spring/summer collection, that you will love for years to come! Click on the name of the dress for the link.